November is an exciting month for the Foundation, as we begin the process of working with the teachers and administration to see how best to allocate the funds that were raised during the Patron Drive to optimize the benefits for our school and children. The Drive was a great success, even though we fell a little short of our $55,000 goal. Please know it’s never too late to make a donation to the Foundation! Specifically, in the coming weeks we will review teacher curriculum grant requests. Decisions will be made and items will be purchased immediately so that the children can reap the rewards of your generosity this school year. Stay tuned for more details on these purchases which will be used throughout the school – for every grade, every class and for every child in our school. We are excited to let you know that all of our in-house Science field trips with High Touch High Tech will be paid for by the Foundation this school year, thanks to your support; these too will benefit every child at Timber Ridge. 12 field trips have already been scheduled and more are expected! We loved seeing you at Monster Mash at the end of October and hope you and your families enjoyed celebrating the success of the Patron Drive with Dr. Doe, Mr. Hill and all the teachers who were able to be there. 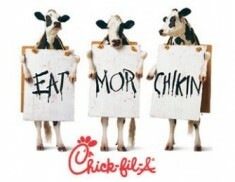 Tuesday, November 13th will be our Chick-fil-A Spirit Night. Come out and join Timber Ridge families, friends and teachers for a night out. We hope to see you at the Woodlawn location between 5-8pm. Teachers will be there to serve up some free ice cream! A portion of the proceeds from the night will go to the Foundation. Don’t forget to tell them at the register that you’re with Timber Ridge! In December, we will post information for the spring semester of After School Activities; please check back to find out what will be offered and how you can register. And finally, information is available for 3rd, 4th and 5th graders regarding the upcoming musical Honk, Jr. which will be performed at Dodgen Middle School April 20-21, 2013! Click here for an application. As we embark on this holiday season, the Foundation Board wishes you and your families a wonderful Thanksgiving. We are thankful for your support and for all you do for Timber Ridge.